The 2015 summer has seen three Ciclovia on the Miramar Peninsula section of the GHW. 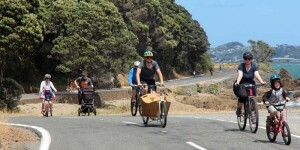 For each Ciclovia, the road between Shelly Bay and Scorching bay was motor free for a day, allowing people of all ages and abilities to walk and cycle along the coast without cars. 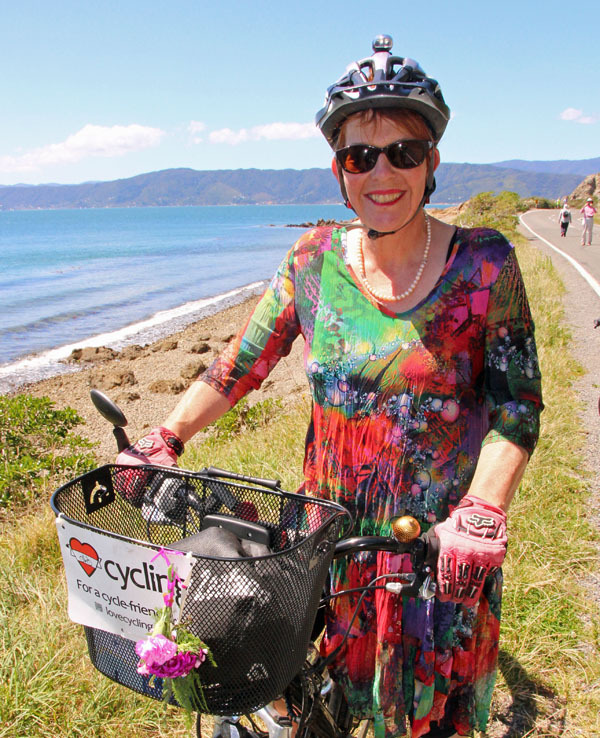 The fact that up to 2300 people participated in each Ciclovia shows a strong demand for cycling and walking routes around Wellington Harbour, which is the aim of the GHW project. 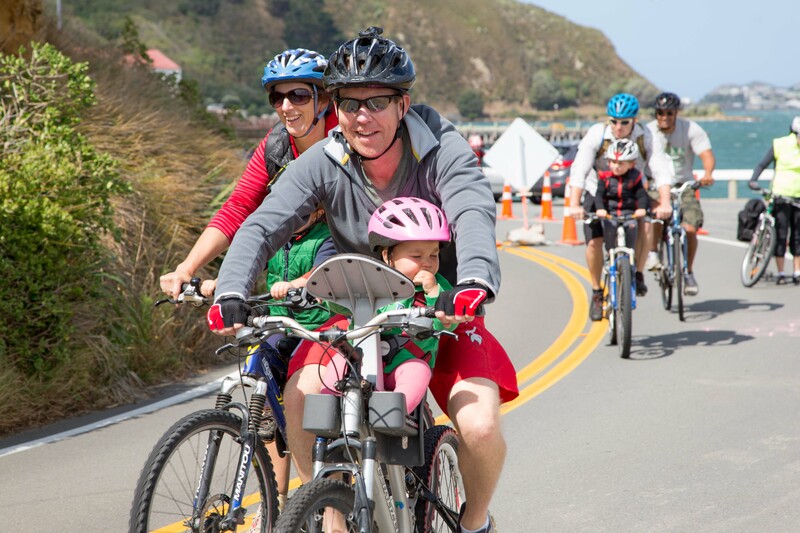 Despite windy conditions on Sunday, 2300 Wellingtonians took advantage of the Miramar Peninsula Ciclovia to walk, cycle, scoot, skate and roller blade. The route, following Massey Road from Shelly Bay to Scorching Bay, followed the Great Harbour Way/ Te Aranui o Pōneke, the cycling and walking route around Wellington Harbour. 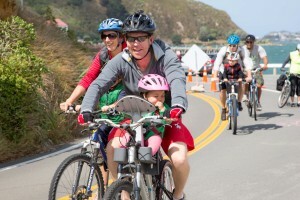 Almost eight times as many cyclists, and three times as many pedestrians, were on the Peninsula during the Ciclovia compared with a normal Sunday. Businesses such as the Chocolate Fish and Scorch-O-Rama experienced high demand. Participants included many families with young children, taking advantage of the opportunity to learn riding and scooting skills in a motor free environment. The day also included a “Bubs on Bikes” event organised by Wellington group Frocks on Bikes, which enabled families to compare different ways to carry young children on bikes. “The response to Ciclovia shows that there would be strong support for making the Miramar Peninsula motor free on a regular basis. Also, there is a strong desire to be protected from motor traffic while cycling, and that if this is provided, the number of cyclists will increase dramatically” said Alastair Smith, a member of the organising group. The event was organised by Cycle Aware Wellington, Generation Zero, and Living Streets Aotearoa, and received support from Wellington City Council, Wellington Regional Council, and Go Traffic Management. Two more Ciclovia are scheduled this summer on the Miramar Peninsula: Sunday 15 February, and Sunday 8 March. Miramar Peninsula Ciclovia is on its way – but we need your help! Remember 16 February 2014? That was the day that almost 2500 cyclists and walkers turned out to enjoy a perfect summer day on a motor free Miramar Peninsula, on the first Miramar Peninsula Ciclovia. Ciclovia is back for February/March 2015, but we need your help. Although we’ve received support from WCC and GWRC, we need money to cover costs such as traffic management and publicity. You can help here by contributing to the Ciclovia – Miramar Peninsula 2015 PledgeMe campaign – follow the link to help make Ciclovia happen! 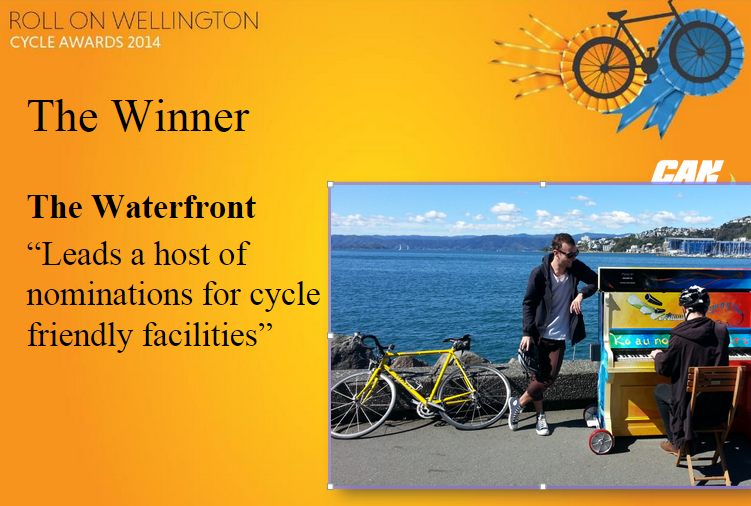 The annual Roll On Wellington awards celebrate the best aspects of cycling in the harbour city. 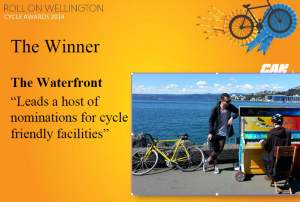 For the 2014 awards, the Wellington Waterfront, a key section of the Great Harbour Way/ Te Aranui o Pōneke, took out the “best cycling infrastructure” award. 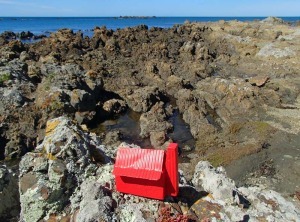 Miniature Hikes is a public art project by art collaboration KemiNiko. 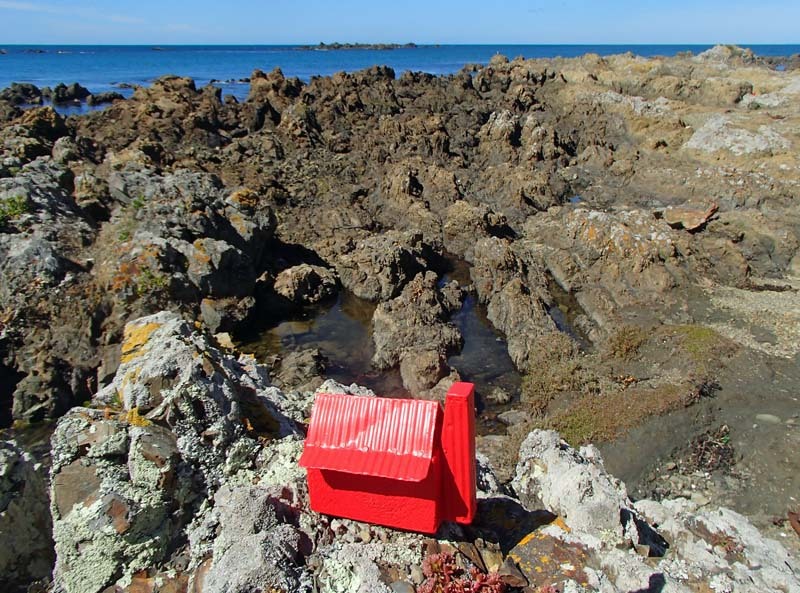 The project consists of seven miniature tramping huts erected around the Wellington area. Two of them are on Te Aranui o Pōneke/ Great Harbour Way, although their size is such that you shouldn’t rely on them for accommodation! 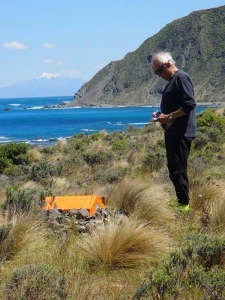 At Tarakena Bay just west of Breaker Bay and the Wahine memorial, on Leg 7 of the GHW, several micro huts form the Tarakena trail. You can find them easily by following the walking track on the western side of the bay, and looking for the bright orange huts on rocky shore. Recording a visit in the Robin Hut hut book. Further along on Leg 7 at the old quarry just to the west of Owhiro Bay, is Robin Hut, named in memory of Robin Buxton, killed by rock debris when crossing a river in the Rees Valley, Otago.